Two Greeks were among the 30 or so people who were injured when a terrorist mowed down pedestrians with his car on London’s Westminster Bridge on Wednesday. 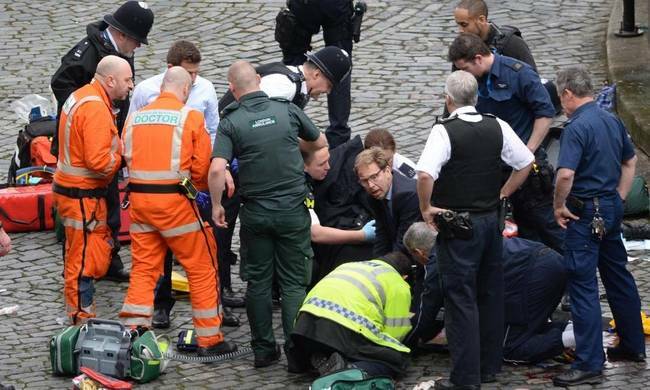 The terrorist killed two people and injured 30, then stabbed a police officer to death before he was shot down by British police. The BBC on Thursday reported that the injured are 12 Britons – including three police officers, two of whom were seriously injured and four university students – as well as three French children on a school trip, four South Koreans, two Romanians, two Greeks, a Chinese national, an Italian, an American, a Pole, an Irish national and a German woman who is a resident in Australia. According to Greece’s Foreign Ministry, the two Greek nationals suffered minor injuries and did not need hospitalization after receiving first aid.